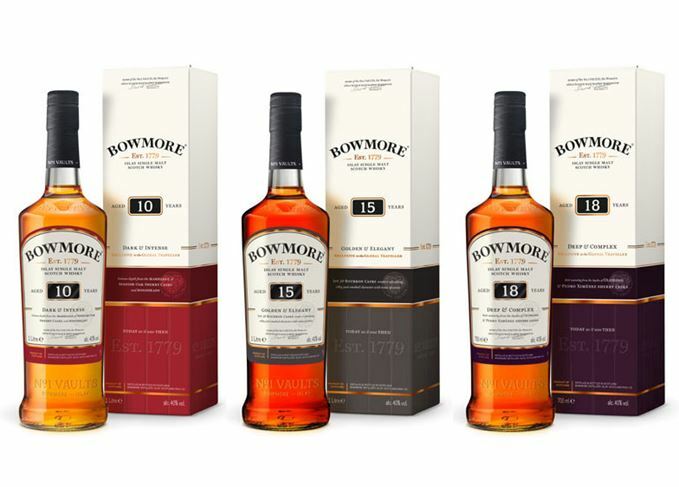 Bowmore is introducing a complete overhaul to its range of single malt whiskies, including the discontinuation of Bowmore Small Batch and the introduction of four new permanent expressions. The Islay distillery will replace its no-age-statement (NAS), entry-level Small Batch Reserve single malt with Bowmore No 1, another NAS expression matured in first fill Bourbon casks with ‘more vanilla sweetness and coconut’, which will be released globally this month. Meanwhile, Bowmore 15 Year Old Darkest will continue to be matured in ex-Bourbon and finished in oloroso Sherry casks, but will drop its ‘Darkest’ name tag. The remainder of the core range, which includes Bowmore 12, 18 and 25 Year old, will also receive a packaging makeover to ‘bring the brand more in-line with its heritage’ and to highlight the atmosphere of the distillery’s No 1 Vaults. Beam Suntory, Bowmore’s US-Japanese owner, could not confirm whether Bowmore 9 Year Old, a limited edition expression launched in the UK and France last year, would also be discontinued. It claimed ‘the repackaged core range will be our focus in 2017’. The brand is also replacing its entire travel retail range with three exclusive bottlings that mark a return to age statements. Bowmore 10 Year Old: Dark and Intense is a 40% abv vatting of whiskies matured in European oak Sherry casks and hogsheads; Bowmore 15 Year Old: Golden and Elegant has been matured in first fill Bourbon casks and bottled at 43% abv; and Bowmore 18 Year Old: Deep and Complex is a 43% abv vatting of whiskies matured in oloroso and Pedro Ximénez Sherry casks. 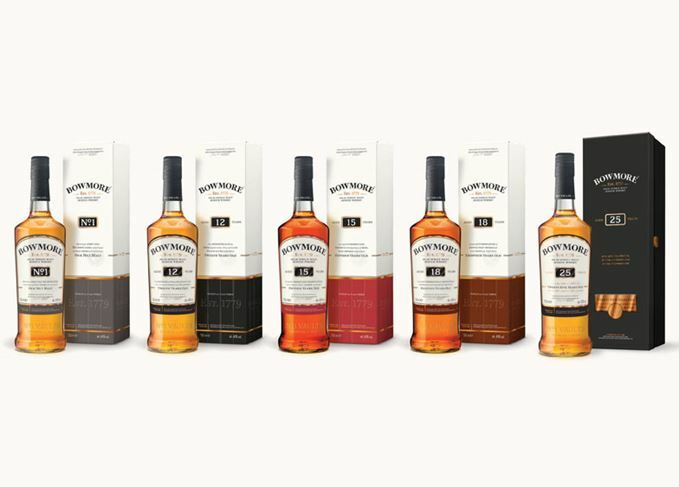 The new editions, which will be rolled out from April 2017, will replace the NAS Bowmore Black Rock, Gold Reef and 17-year-old White Sands expressions that launched exclusively in travel retail in 2014, as well as Bowmore Springtide. Hannah Fisher, marketing manager of international malts at Beam Suntory, said: ‘Age statements will continue to play a significant role for Bowmore as it is important to recognise that there is a richness and quality of flavour that comes with age, however the same can equally be said for NAS expressions. 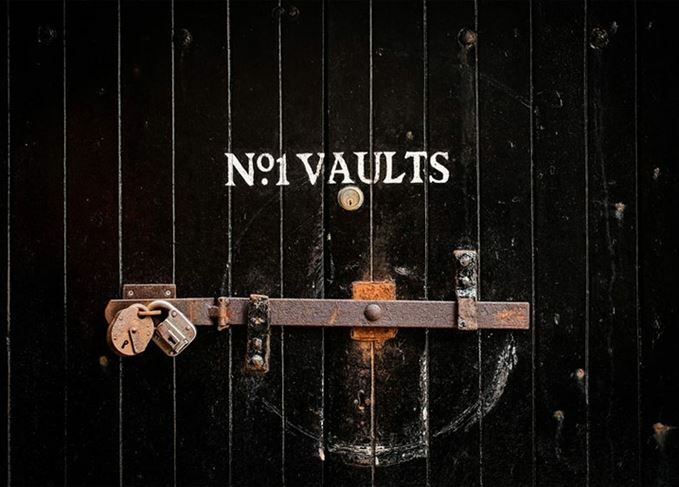 The brand’s overhaul follows last year’s launch of Bowmore Vault Edit1oN, a four-part series of small batch single malts highlighting the distillery’s key flavour characteristics. The first expression in the series, Atlantic Sea Salt, highlights Bowmore’s marine characteristics. The Speyside distillery has unveiled a contemporary makeover alongside three new expressions. A makeover for the Highlands distillery is the ‘final piece of the puzzle’ in reviving its identity.